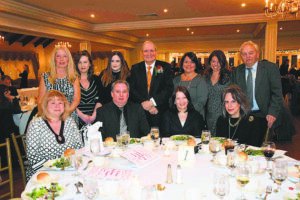 Hicksville Public School District Board of Education members, administrators and distinguished guests. 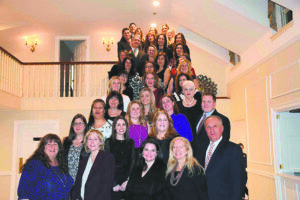 As part of an annual tradition, Hicksville Public Schools honored district staff members, PTA members and one special honored guest at the 2017 Founders Day dinner and awards ceremony held at Milleridge Inn in Jericho. The Hicksville Board of Education, central administration, teachers and PTA members were in attendance to pay tribute to the district’s founding fathers by celebrating the service of those who exhibit that same dedication today. The 2017 Founders Day honorees on their special night at Milleridge Inn. While staff and PTA members of each of the district’s nine schools were honored with plaques, one distinguished individual — Board of Education Vice President Brenda Judson — was recognized for her extraordinary work ethic and commitment. 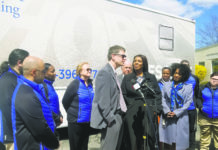 Founder’s Day honors district staff and PTA members for their hard work, and thanks them for consistently doing all they can for Hicksville Public Schools.